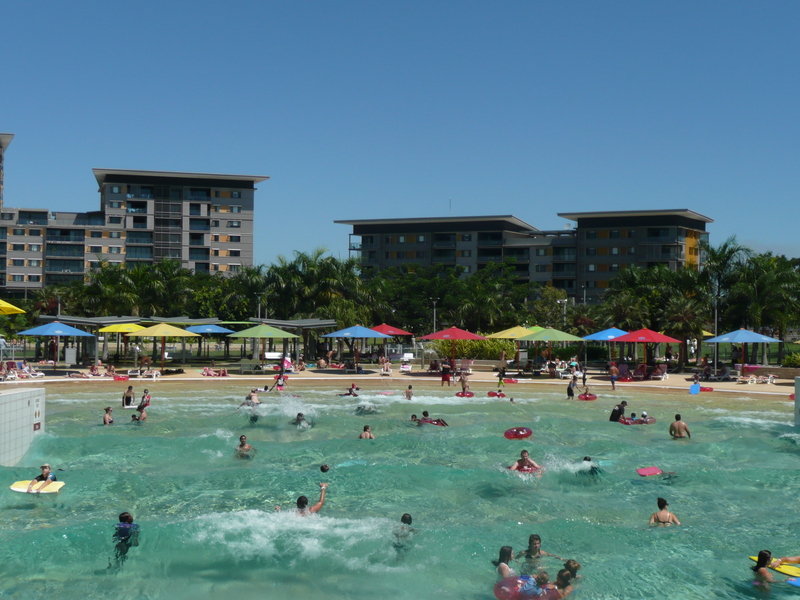 The Wave Pool at the Darwin Waterfront has been, in my opinion, a great success story (Thank you Hendo!). 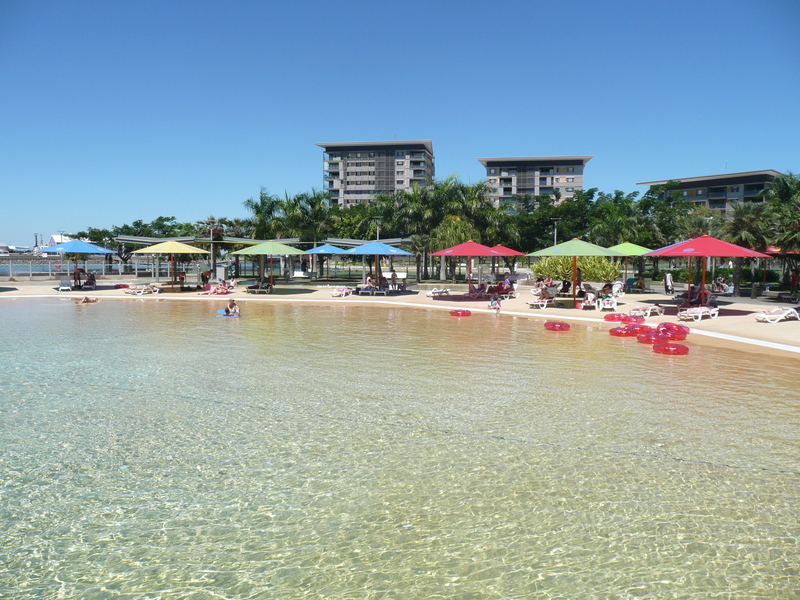 Much loved by Darwinites who usually can’t swim in the ocean because of deadlies like stingers, crocs and sharks, its popularity had waned a little at the weekend with the drop in temperatures. The Wave Pool in an off-wave-cycle. Around 11am the empty "tyres" tell their own tale...not many people in the pool. The waves have picked up and so have the crowds. It's about 1pm and the temps probably about 30C. This jabiru or jiplyontong (in Tiwi), is one of a cluster which is on patrol near Darwin’s waterfront precinct. 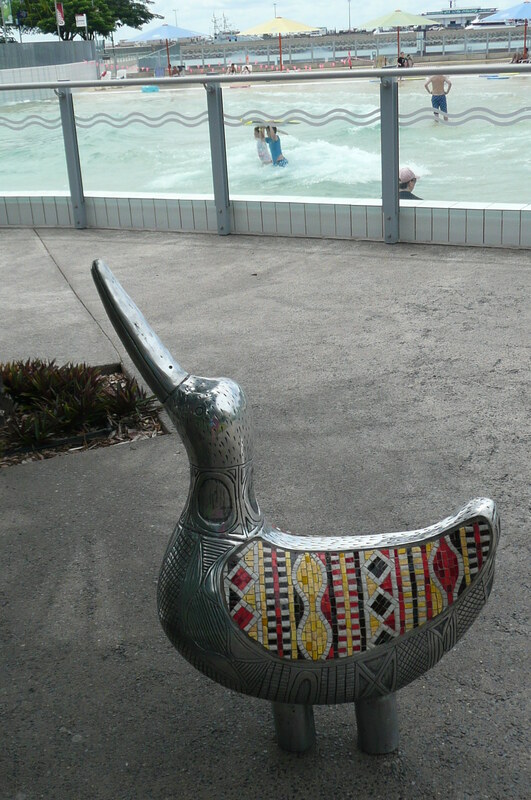 They’re part of the urban artscape but they’re also great for small children to ride or climb on. 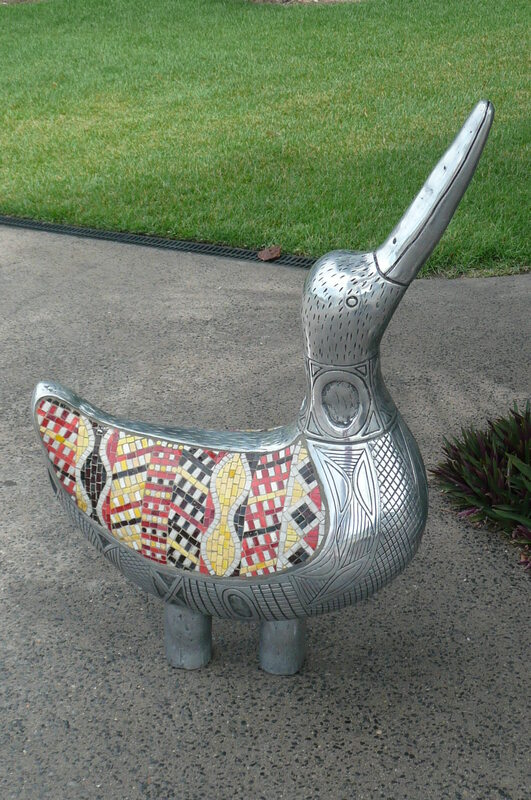 They were designed by Janice Murray from Milikapiti on Melville Island north of Darwin.